June 11 (WTN)- More than 2,500 women have stripped naked on a beach in the Republic of Ireland to break the world record for the largest skinny dip. Magheramore Beach, just south of Wicklow Town, was the venue for the women-only event on Saturday morning. 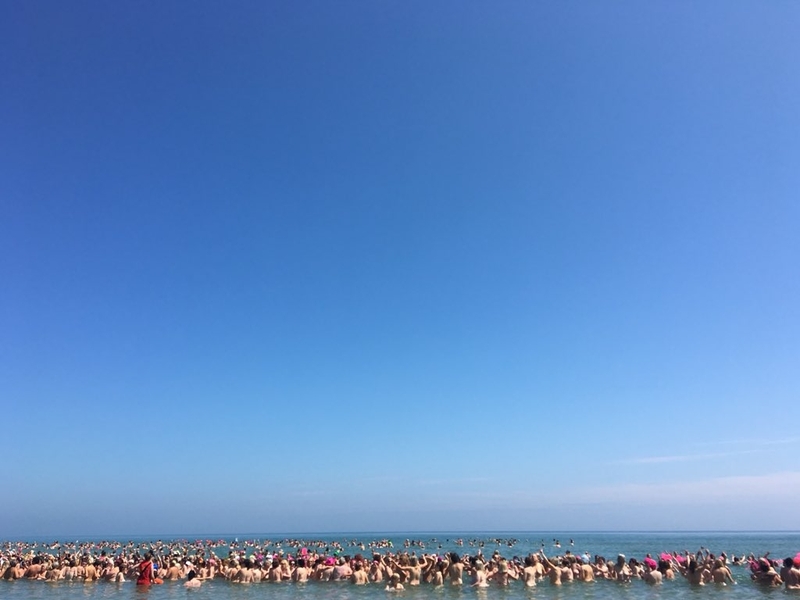 2,505 women in total got naked for the Strip and Dip charity swim organised by Aoibheann's Pink Tie.